UPGRADES!!! UPGRADES!!! UPGRADES!!! 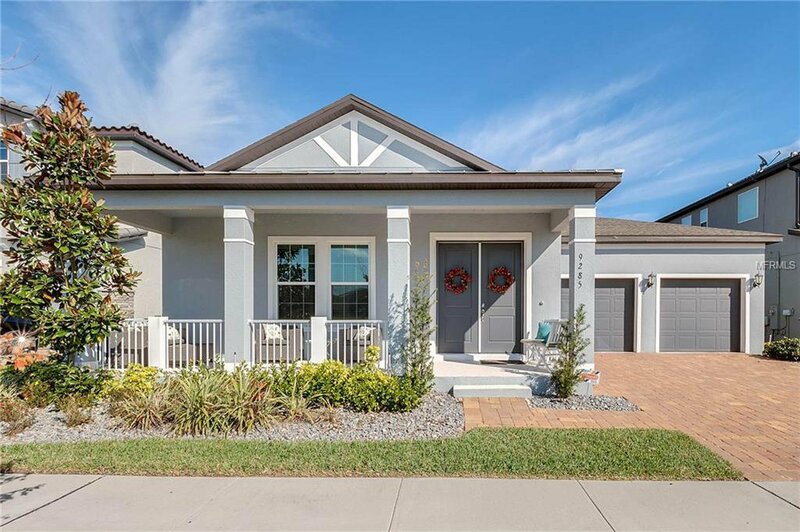 This gorgeous 4/3/1 one story POOL home with NO REAR OR FRONT neighbors will not disappoint. It is MOVE-IN ready and has a tranquil view out the back! Enjoy Disney fireworks in the evenings after swimming in the afternoon. SOLAR electric for super low power bills. Extra large lot provides plenty of room for pets to play. Cancel your gym membership, the community fitness center, tennis courts and plenty of sidewalks for walking/jogging will be more than you could need. Selling this dream home due to job relocation. Don’t miss the opportunity to see all the extras that are included in this immaculate home. You won’t find a gem with a view like this, for this price, with any of the new construction. Listing courtesy of KELLER WILLIAMS CLASSIC III RE. Selling Office: CHARLES RUTENBERG REALTY ORLANDO.